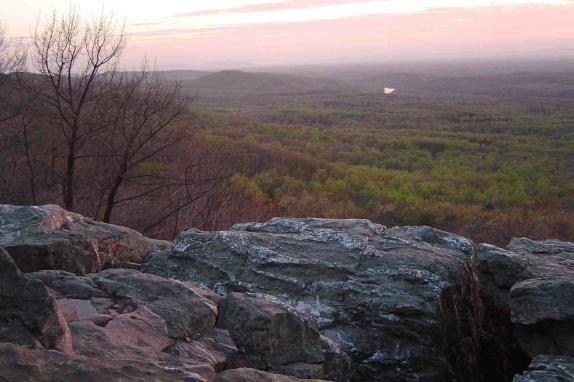 At 1,350 feet, the Bears Den Rocks provide a panoramic view of the Shenandoah Valley and the Blue Ridge Mountains. 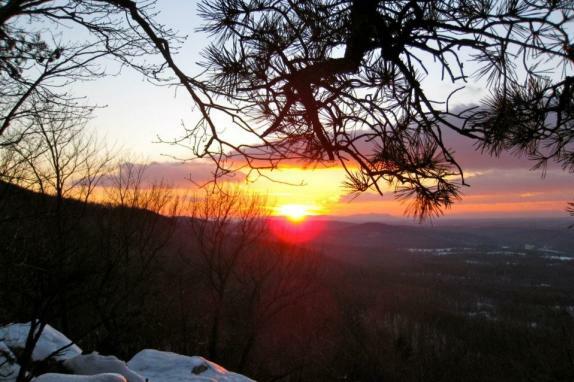 The westward-looking view provides a prime spot for the sunset. 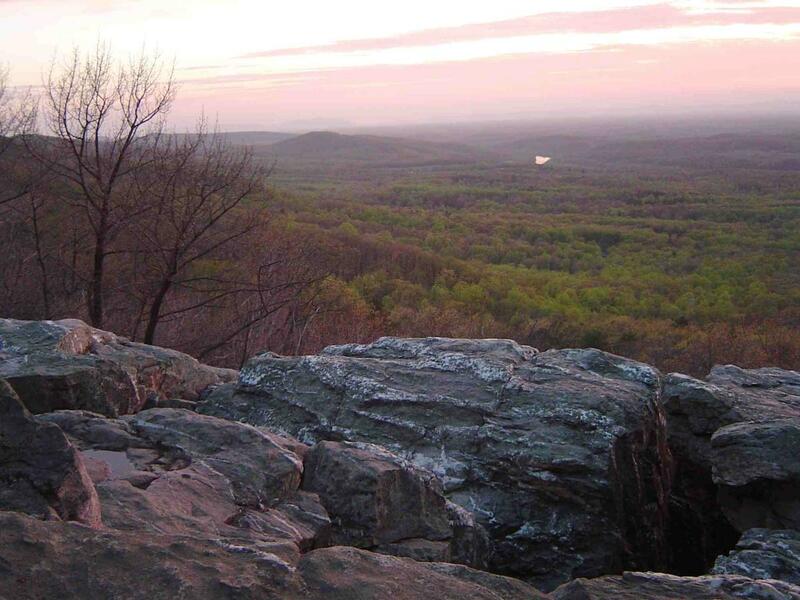 The overlook has a unique rock formation with a number of outcroppings for sitting and enjoying. In fact, the rocks are believed to be a directional landmark for the indigenous people who hunted and fished in the region 12,000 years ago. One local archaeologist claims it was used to mark the changing of the seasons on the Paleo-Indians’ celestial calendar! Today, you can see the rock outcropping from Route 7 as you are driving east. 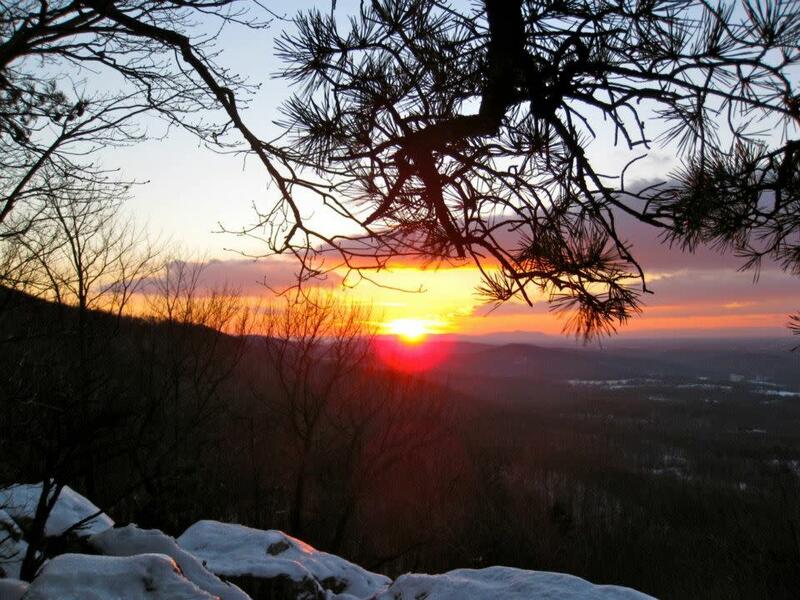 The overlook is a short stroll from our Bears Den day-use parking lot ($3.00 per car) or ½ mile hike uphill from the Route 7 Parking Lot. Just remember our simple rules to make the overlook enjoyable for everyone … No camping , fires, drugs or alcohol. Please pack out what you bring in!